Standard keyways run full length. Ground to a mirror finish of RMS 8 or better. 1/4" & 3/8" — 3/32" x 3/64"
1/2" & 9/16" — 1/8" x 3/64"
5/8" through & including 7/8" — 3/16" x 3/32"
15/16" through & including 1-1/4" — 1/4" x 1/8"
1-5/16" through & including 1-3/8" — 5/16" x 5/32"
1-7/16" through & including 1-3/4" — 3/8" x 3/16"
1-13/16" through & including 2-1/4" — 1/2" x 1/4"
2-5/16" through & including 2-3/4" — 5/8" x 5/16"
2-7/8" through & including 3-1/4" — 3/4" x 3/8"
3-3/8" through & including 3-3/4" — 7/8" x 7/16"
3-7/8" through & including 4-1/2" — 1" x 1/2"
4-3/4" through & including 5-1/2" — 1-1/4" x 5/8"
5-3/4" through & including 6" — 1-1/2" x 3/4"
Turned, ground and polished with standard keyways cut the full length. All keyways are accurately machined and straight with no bowing or twisting. 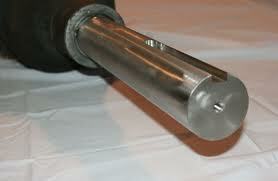 Keyed Shaftings can be provided with special keyways in multiple locations. 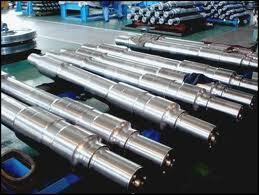 Keyed Shaftings can be furnished with a key already inserted assuring a proper fit. 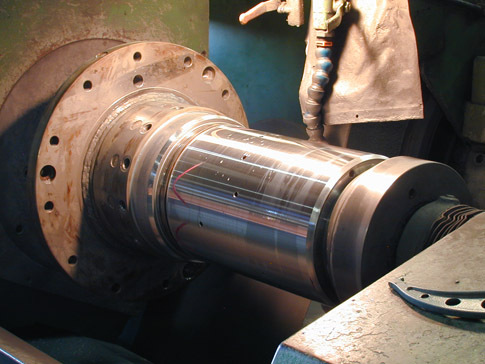 Winco Keyed Shafting avoids the expense of cutting keyways, removing costly production delays. Custom Bar Sizes and Keyways are available. Please contact Wingate Alloys with your specifications.